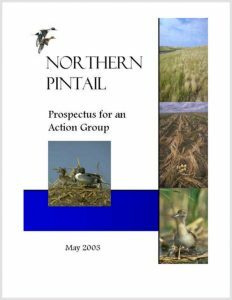 The Pintail Action Group coordinates research, conservation and management actions for Northern Pintails in North America. This population remains a source of concern due to ongoing low population estimates. 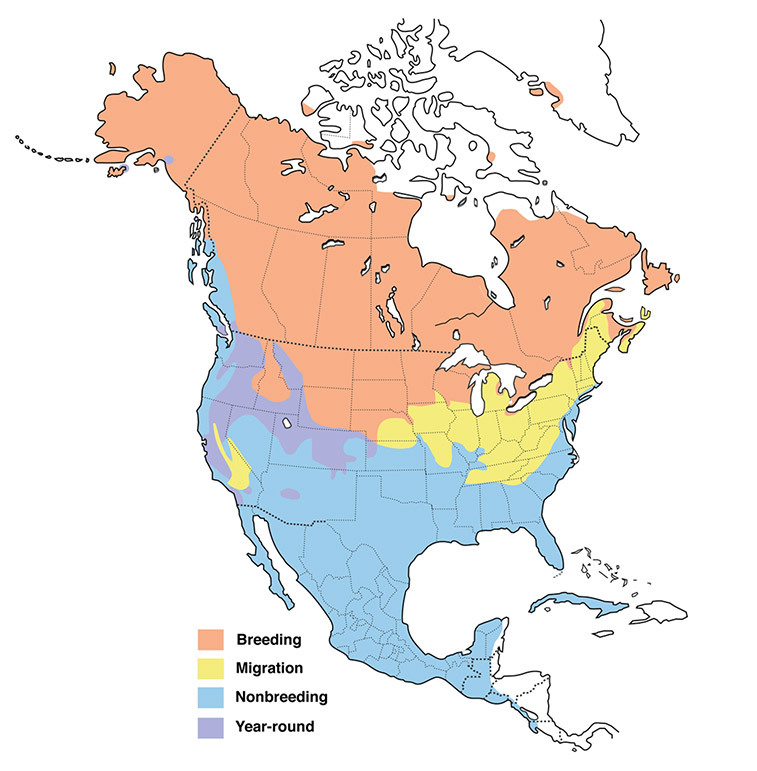 Whilst our understanding of factors limiting population growth – low reproductive success of prairie-nesting Pintails being a noteworthy reason – has improved, probably the greatest conservation challenge is implementing the actions believed necessary to improve the productive capacity of prairie landscapes. Pintail numbers have been low for some time, yet relatively little management activity, and research has been focused on pintails, particularly on the breeding grounds. 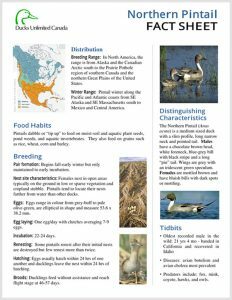 From Ducks Unlimited Canada, facts about distribution ranges, food habits, distinguishing characteristics, breeding and other tidbits about the Northern Pintail.